Well people often ask me how to use certain items that they receive. We try and be helpful and offer suggestions and recipes. However we are always glad when a member shares up some tips! This week I'd like to forward on a handy recipe to use up your radish and turnip tops. I made soup with your turnip and radish tops, along with two of the red onions, four cloves of garlic and three little turnips. I sauteed some spices in olive oil (one dried chili, snapped in half; half a teaspoon of coriander powder; a quarter-teaspoon each of black pepper and turmeric; and a very small piece of cinnamon bark) and added the chopped onion and garlic, continued frying until the nice smells seemed to mingle. 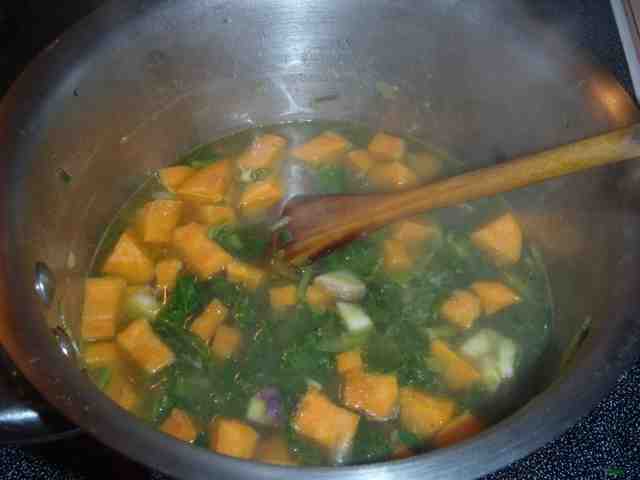 Then I added the chopped turnip and one small chopped orange sweet potato from my never-ending bag in the basement. In a separate pan, I quickly blanched the turnip tops and radish tops, then poured off the water (pity for the vitamins but I thought the greens might otherwise be a bit bitter). 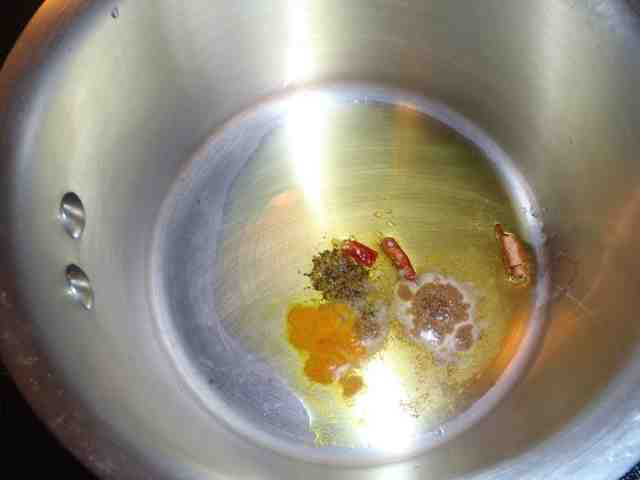 I then chopped the barely wilted tops and added them to the soup pot. I added salt to my taste (maybe half a teaspoon), and floated the whole batch with hot water from the kettle. Simmered the pot until everything was soft, let it cool, then whizzed it with an immersion blender. 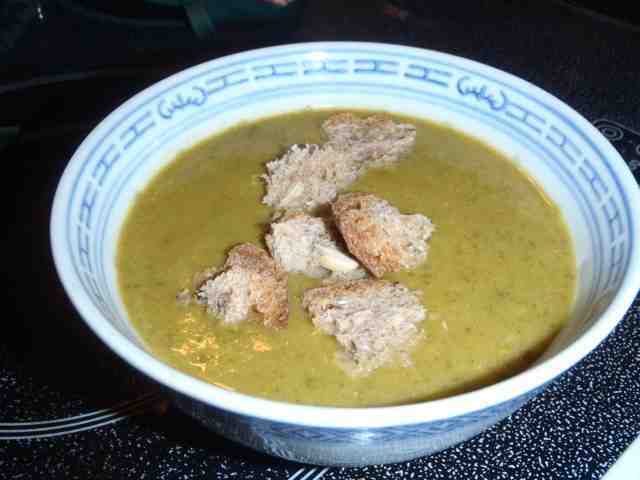 With bits of homemade bread dumped in, this made a great soup for a raw, damp Thursday. The pot made about 4 cups of soup. This was accompanied by a salad using some of your tender red-leaf lettuce and spinach leaves, dressed with some homemade yogurt flavoured with a mashed garlic clove and salt, and toasted sunflower seeds on top.